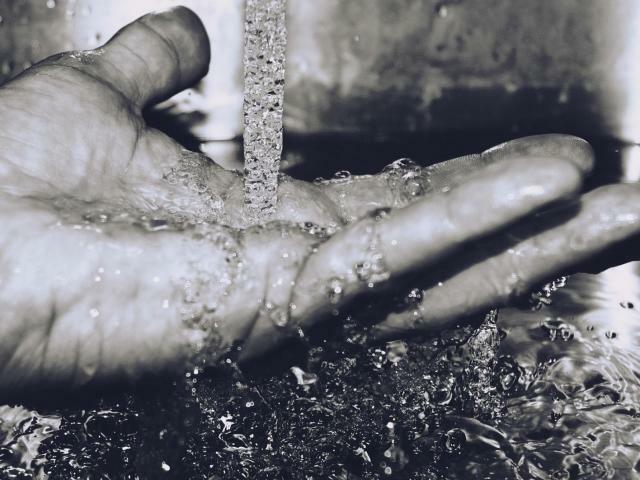 You are thinking of launching yourself into adventure, discovering new places, different people, different cultures, getting out of your daily routine, disconnecting from this globalized and industrialized world where the fast pace of life is slowly preventing us from living in peace and harmony. 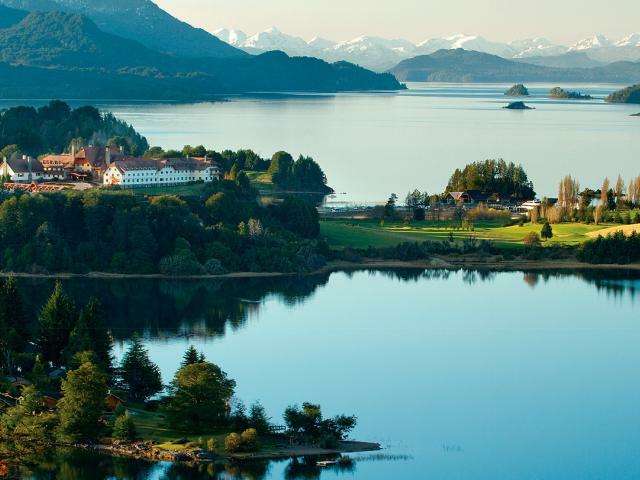 Then you are one of our people, who occasionally need an escape to delight us with the exquisiteness of the pachamama. So I want to invite you to be part of this adventure with love and responsibility so that future generations like us have a little corner where they can enjoy and feel in complete freedom. According to Greider and Garkovich, (1994) "nature has a different meaning for different types of people, according to the definition they have of themselves and the values, belief systems and interests they have in nature and their use" . What meaning do you have of nature? I have always thought that you can do tourism in a healthy and responsible way, that you can travel throughout our country with caution and care, that money is the least, there are those who make tourism with only a small monetary investment, if we want more material comforts we must pay more for it, that people who love with madness what surrounds them are not mistreating and damaging what they leave behind. 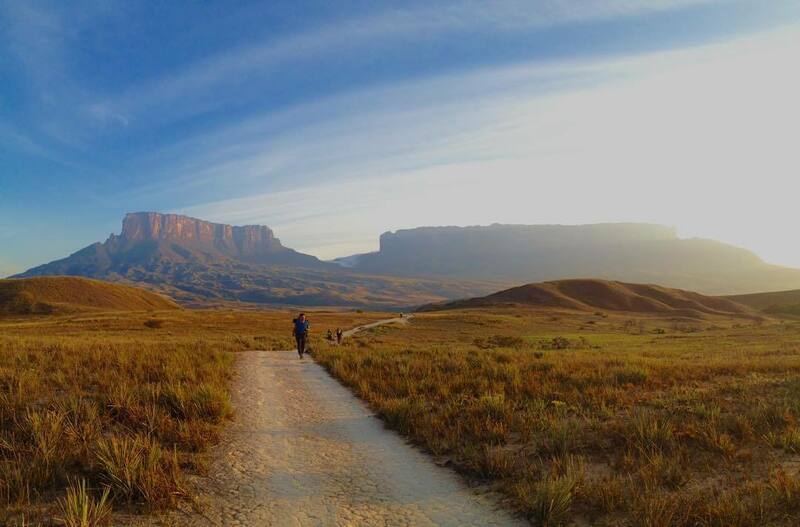 Remember Roraima is not just a picture that is fashionable, RORAIMA is a sacred place full of energy and goodness for which we must be aware and do tourism in a sustainable and sustainable way. You should always know where you are going so you must understand why you go to that place, which is what you are most passionate about when you assemble your suitcase and go to the Gran Sabana; in Enupal we want to inform you a little about Roraima and its origin: "The origin of the word Roraima is not well defined. The first explorers in the area found that many local Pemons referred to this mountain as "the mother of all waters", a very appropriate name because from its summit fall numerous waterfalls, which are the source of some rivers " . "His name is derived from two words in the Pemon language: roro ('blue-green') and ima ('big'). 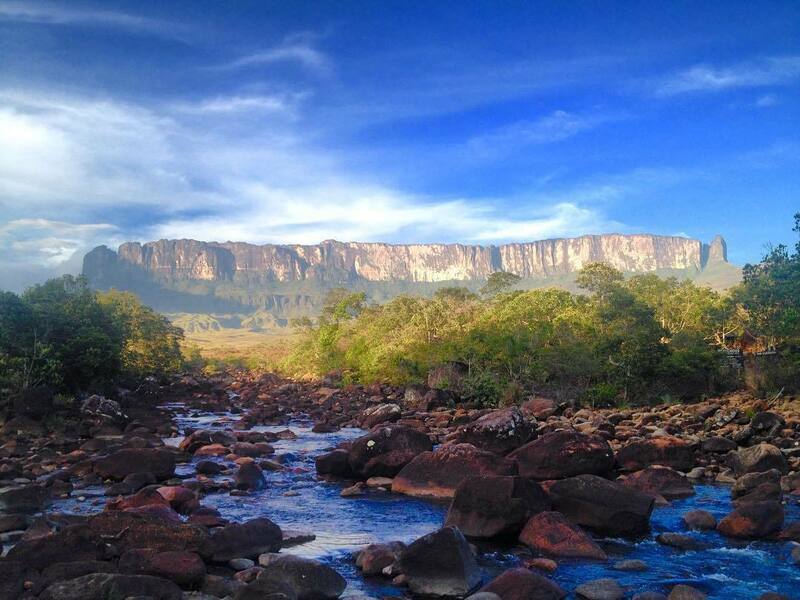 Therefore the meaning of Roraima, depending on the translation of the pemon, can be 'great blue-green', although it can also be 'rolling rock' or 'fertile mother of the torrents'. " Roraima is a rock plateau called tepui, These are a type of relief with millions of years old, with vertical walls and almost flat tops. 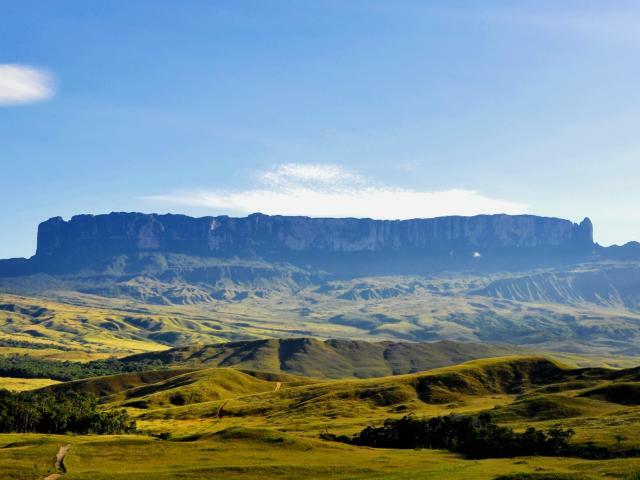 Roraima, also known as tepuy Roraima, closed Roraima or Mount Roraima stands at approximately 2810 meters above sea level (msnm). Among the best known tepuys are Mount Roraima being the tallest, easy to climb and above all the most visited, followed by the Auyantepui as it is the largest waterfall in the world known as "Kerepakupai Vená, in Pemón "Or" Angel jump ". Roraima is located in South America, specifically in southern Venezuela, Bolívar State, within the Canaima National Park, declared a World Heritage Site by UNESCO in 1984 for being a nature reserve with unique reliefs throughout the world, the park It is 65% occupied by rock plateaus called tepuyes. The borders of Canaima National Park extend between Guyana and Brazil, being considered the sixth largest National park in the world. Find all the necessary information about your destination, know a little bit in depth the place you are going to visit is not too much. If you want to go to Roraima alone, you consider yourself a completely fit person and have the experience guaranteed in this adventure type, all the necessary equipment from tent to the type of food to survive during your stay, because easy you will only need to get to San Francisco de Yuruani o Paraitepuy de Roraima and hire a Pemón guide or a porter (you pay and they charge you everything you have); What if you must have very clear and understood that IT IS MANDATORY TO RISE TO THE RORAIMA WITH A GUIDE OF THE COMMUNITY PEMÓN. 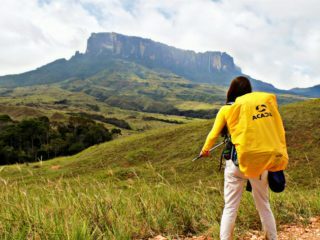 If you go to Roraima and want to do it with a company or tour operator, I recommend you do it with people who are trained, accredited, certified or have proof issued by entities such as people able to offer this type of travel or experience. If you go to Roraima and want to do it with a company or tour operator, I recommend you do it with people who are trained, accredited, certified or have proof by entities such as people able to offer this type of travel or experience. Most of these companies are currently managed online; through social networks so look for the experience of your customers through your comments, do not fall into scams. Soap, biodegradable shampoo, toothpaste, brush, comb. Energy bars, granola, gummies, chocolate, sweets, cookies, an arequipe would be great for when crowns the top. In our next post we will talk about each of these things and why it is important to take them into account when assembling our suitcase, so do not stop reading30 Tips you should know before going to Roraima. Go, walk, run, observe, take care, delight and give yourself the pleasure of feeling the freedom to be part of that great landscape. If you are Venezuelan or if you are a foreigner it does not really matter, what matters here is the love with which you do this type of tourism, be a responsible person with your surroundings, respect life, spaces and help us to preserve and do multipliers of good actions that lead to the practice of sustainable and sustainable tourism. Long live Venezuela!